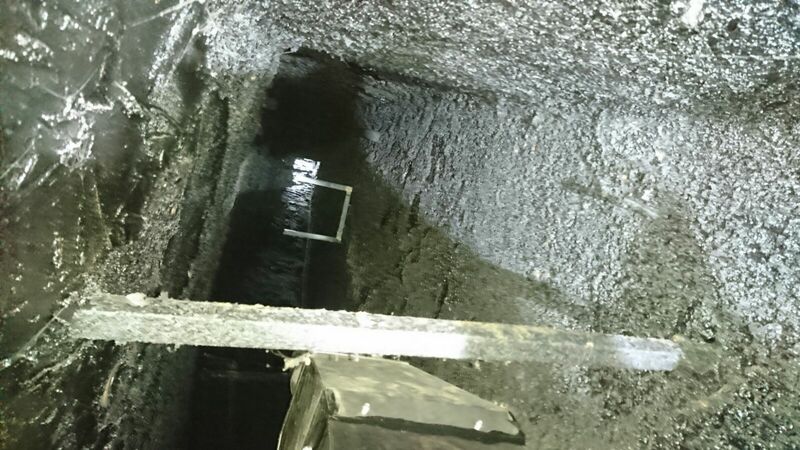 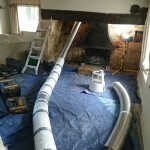 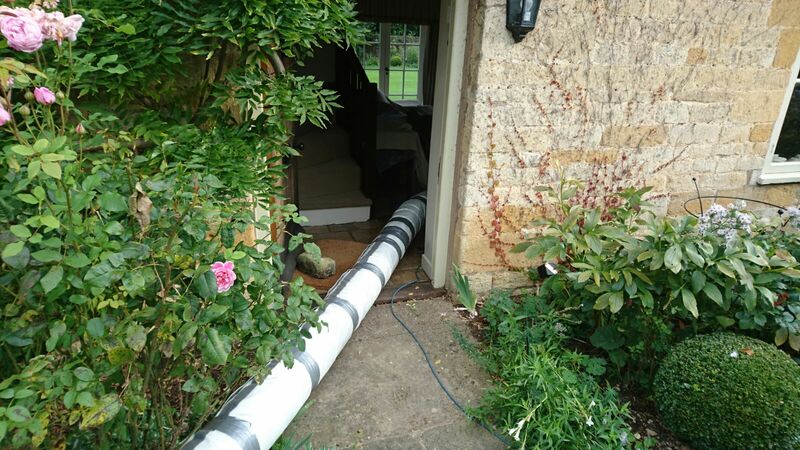 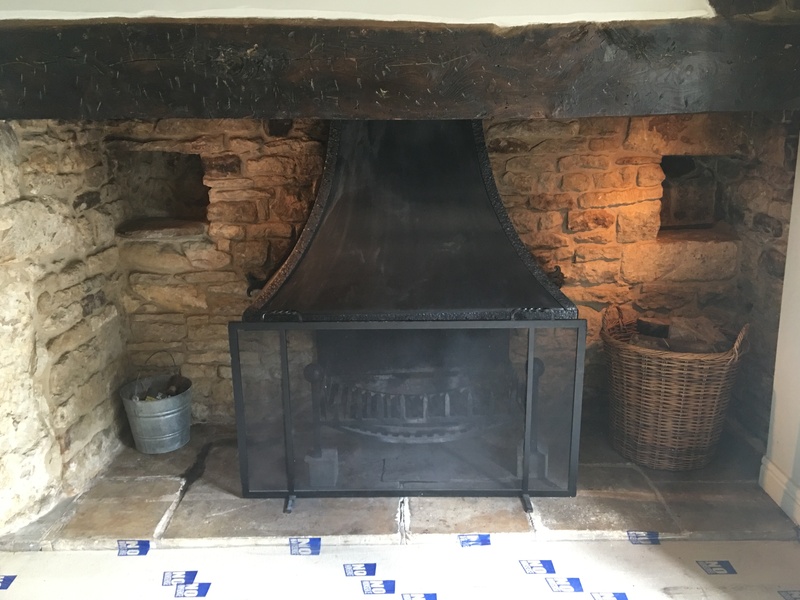 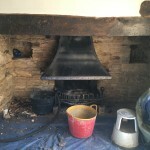 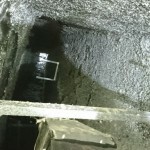 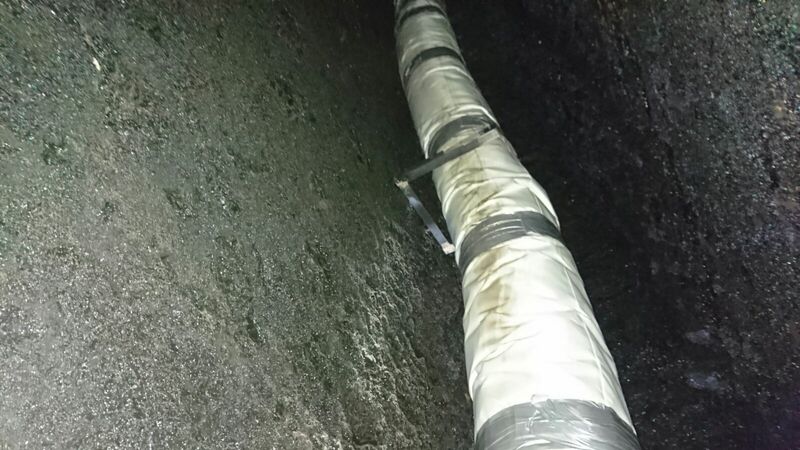 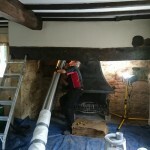 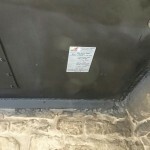 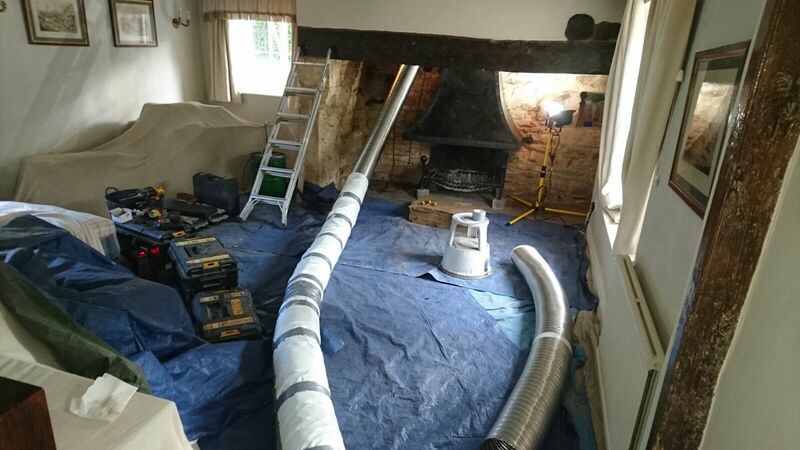 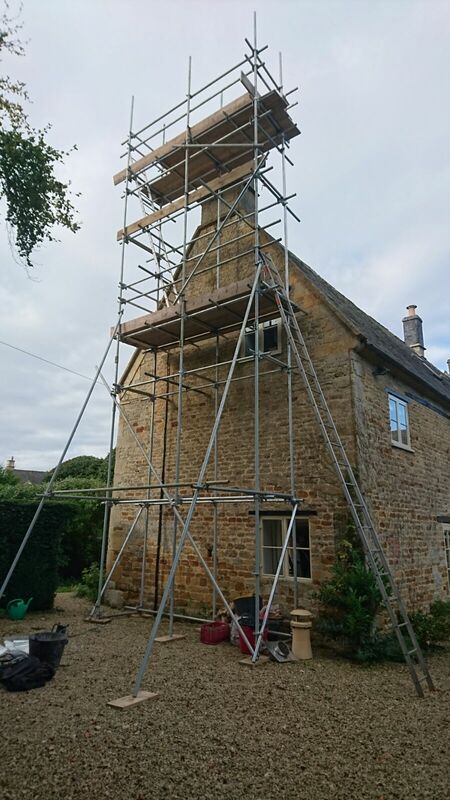 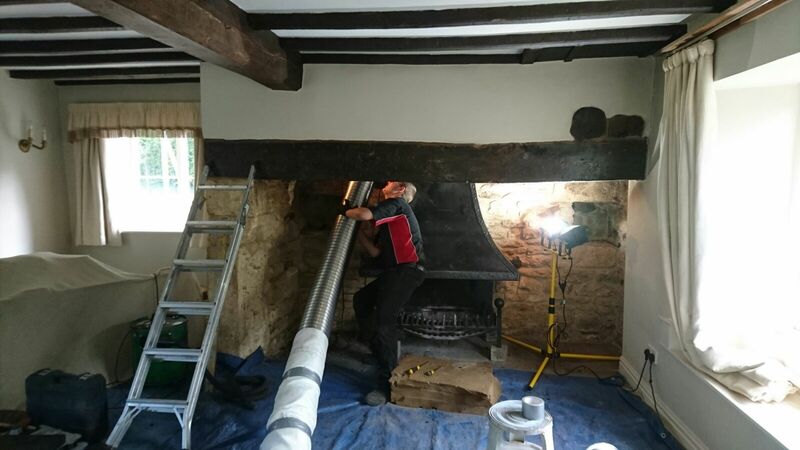 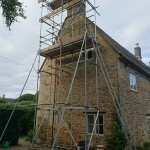 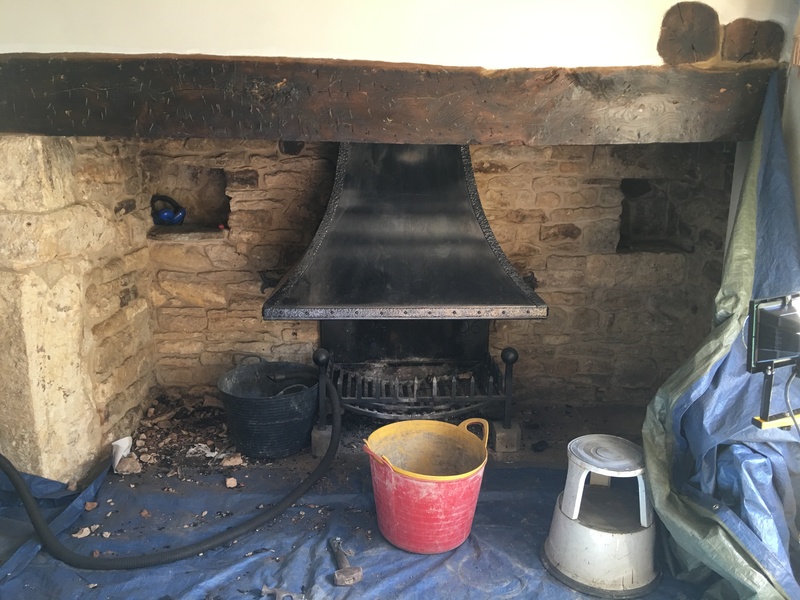 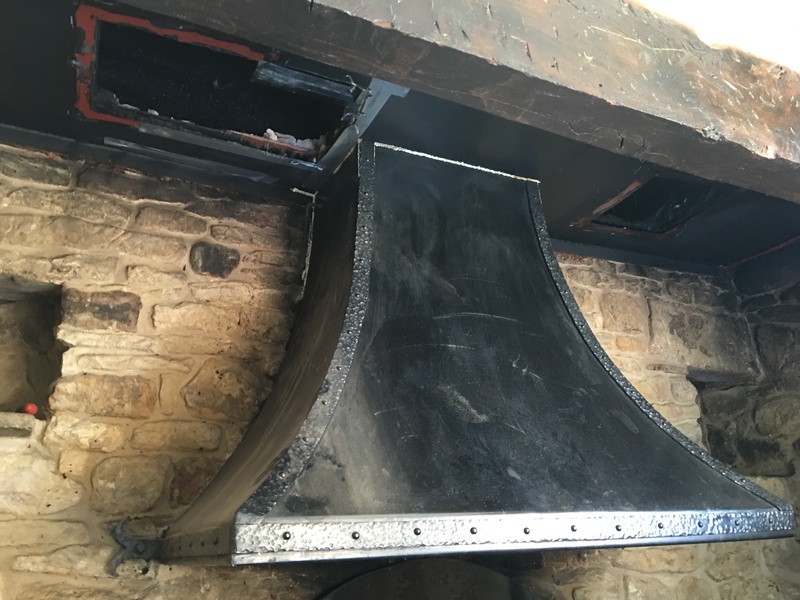 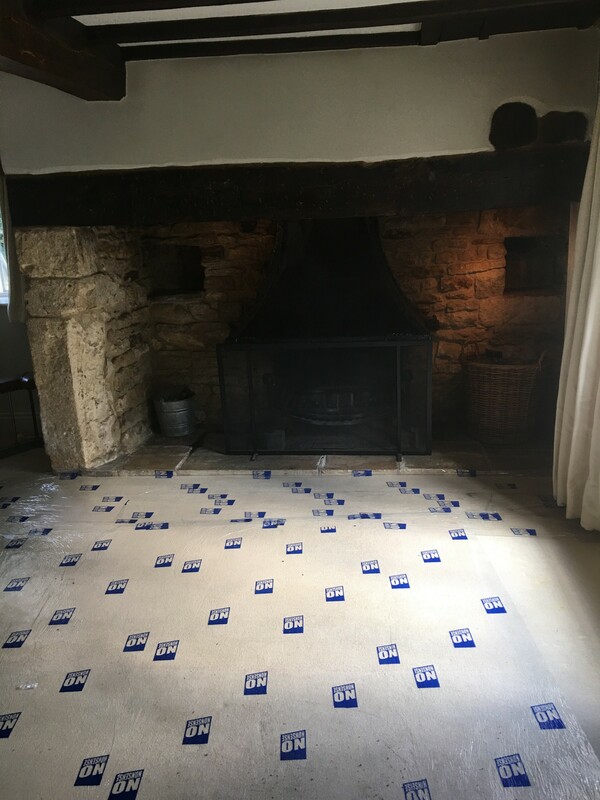 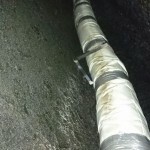 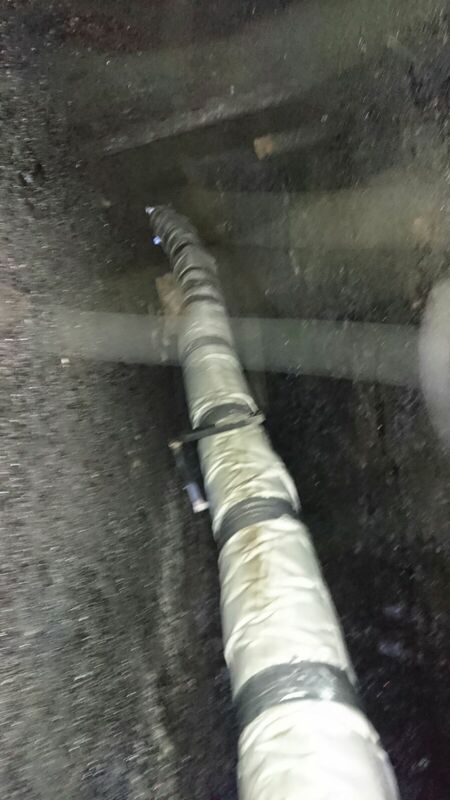 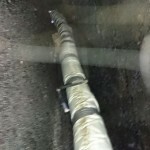 We were called to this beautiful old farm house in the cotswolds, to view & sweep this large inglenook fireplace that has not been swept correctly over the years allowing a massive amount of tar / creosote build up in the chimney chamber this was causing the fire to smoke & smell terrible, Once power swept to clean the chimney best possible with out causing damage, we installed a new 200mm stainless steel liner wrapped in an insulation jacket, which was connected to a bespoke stainless steel gather which is bolted & sealed to the original fire canopy. 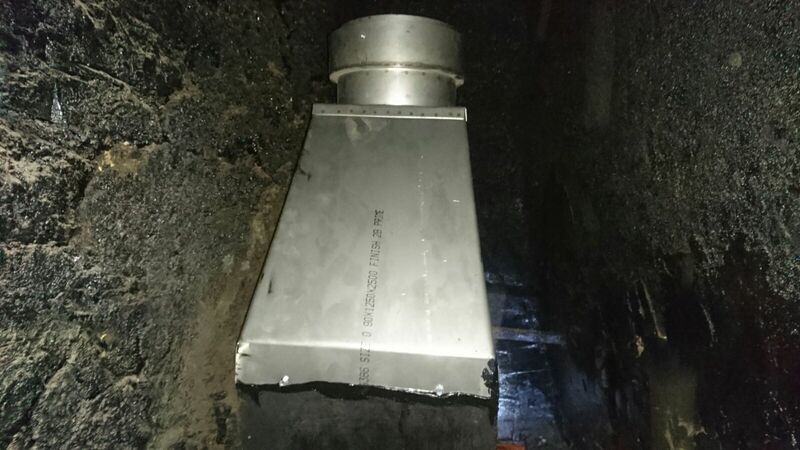 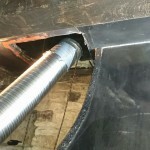 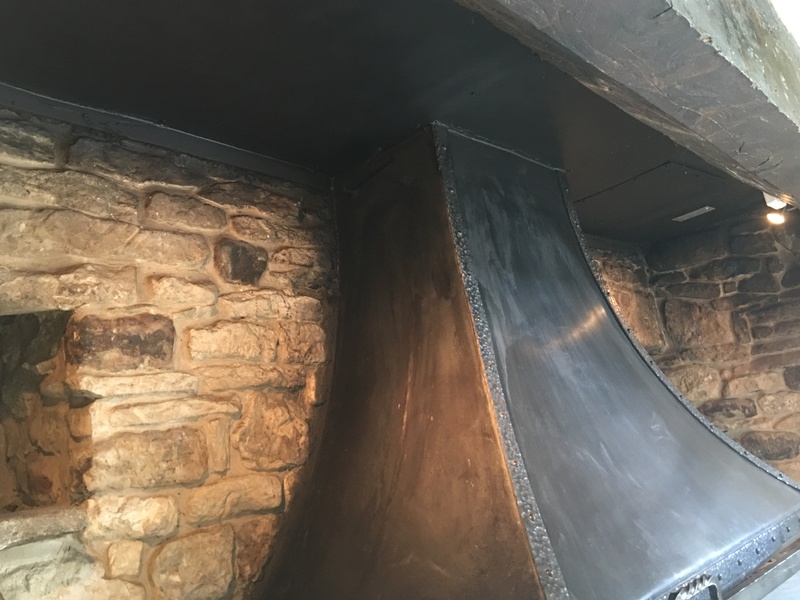 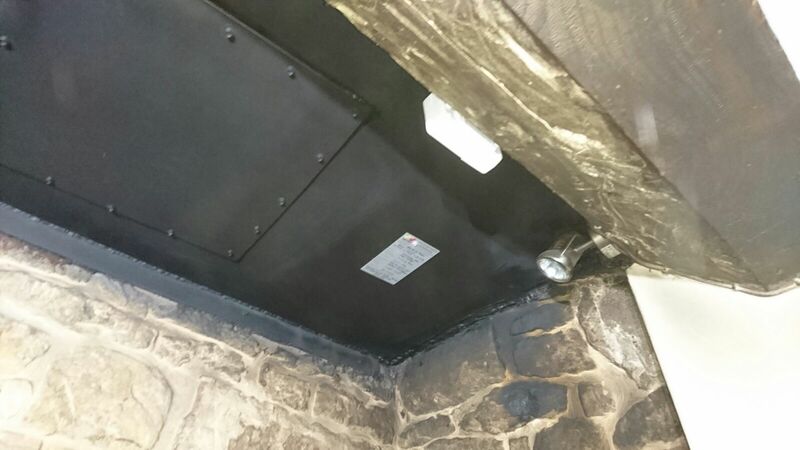 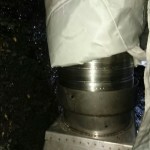 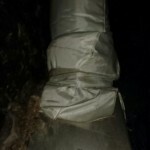 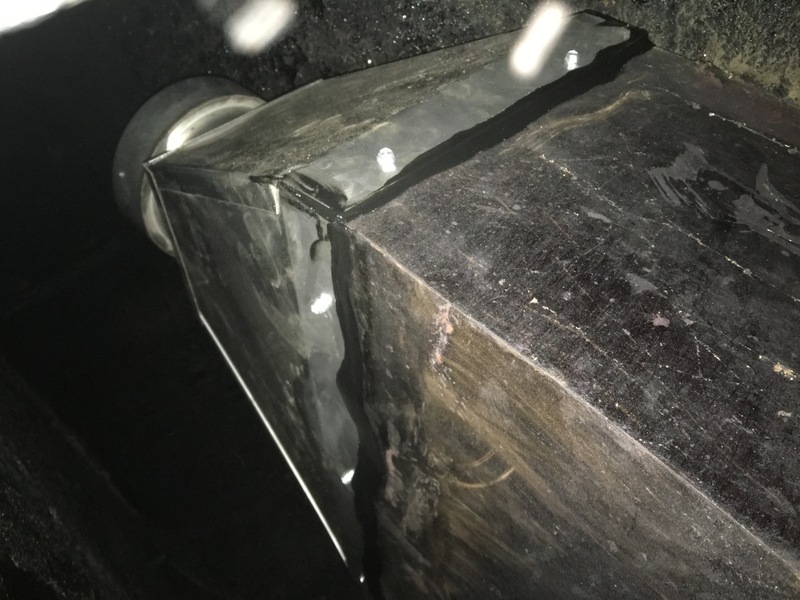 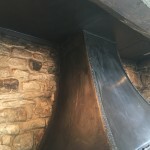 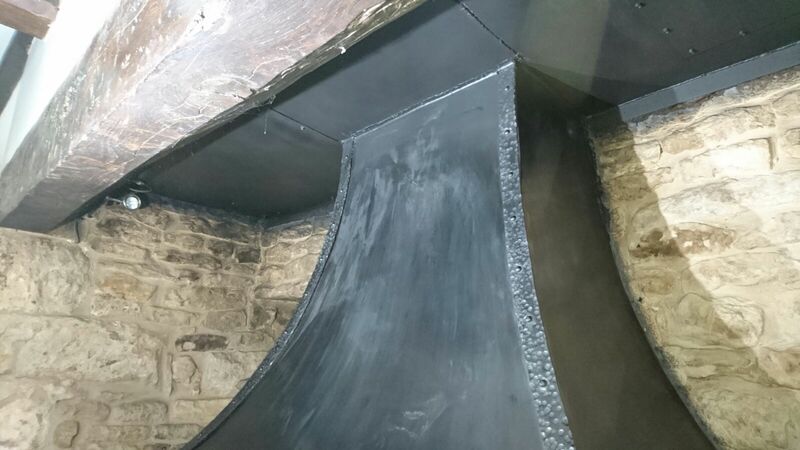 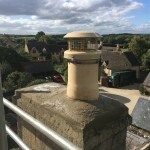 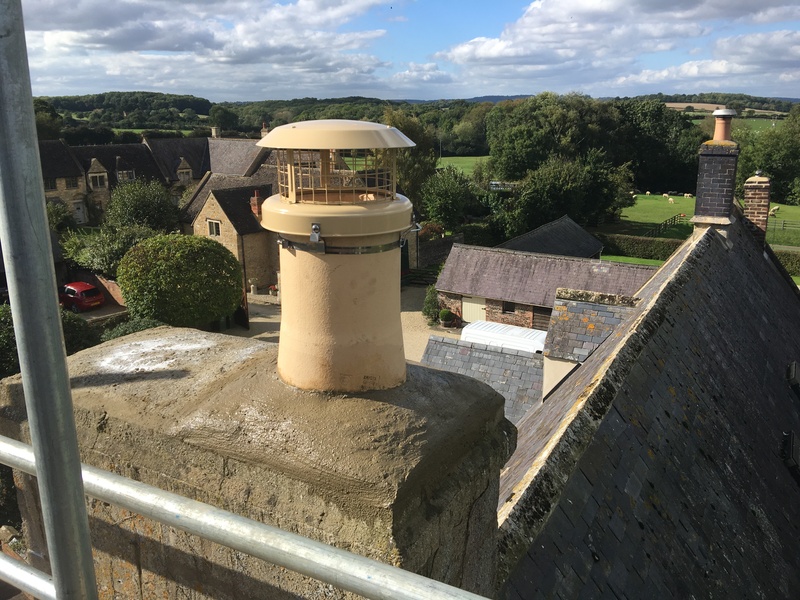 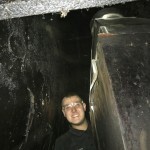 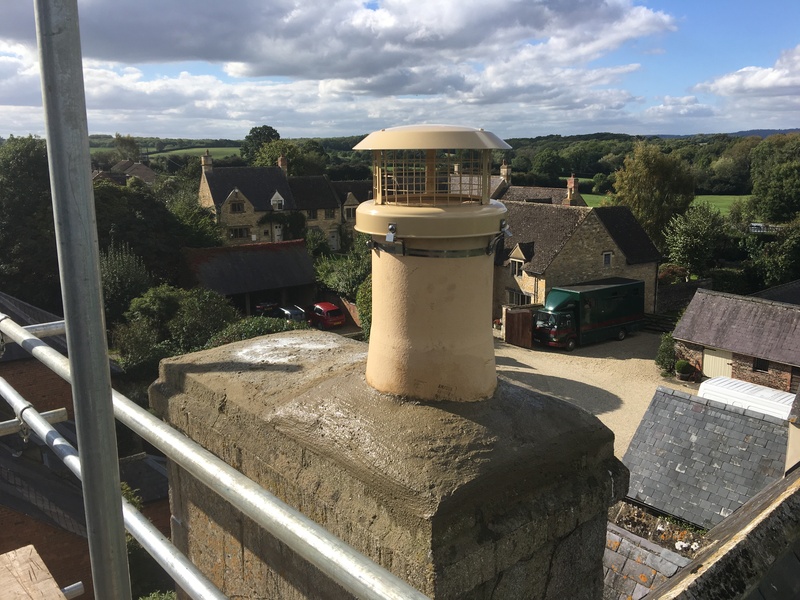 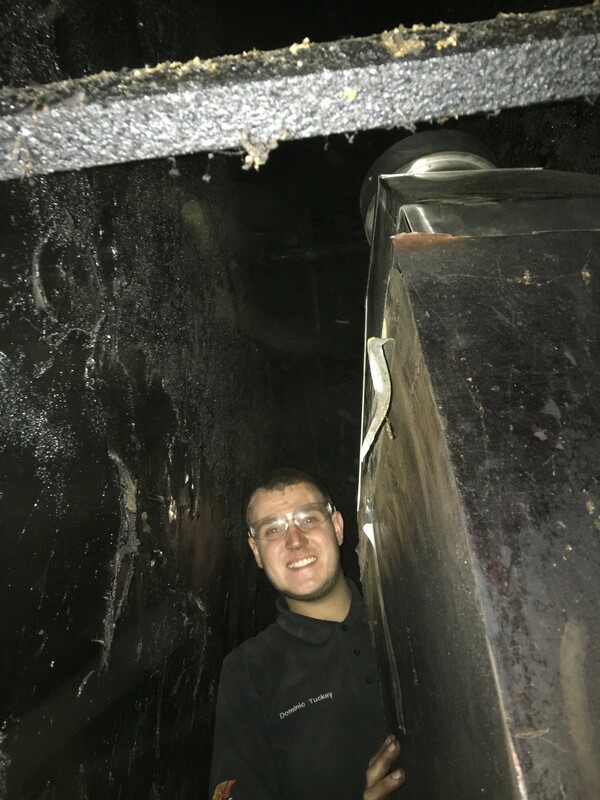 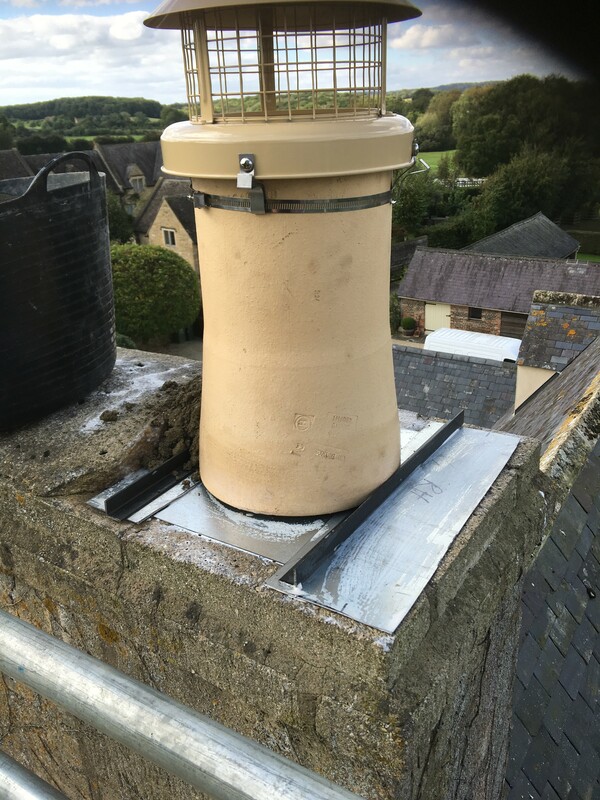 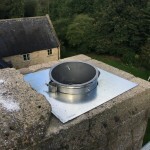 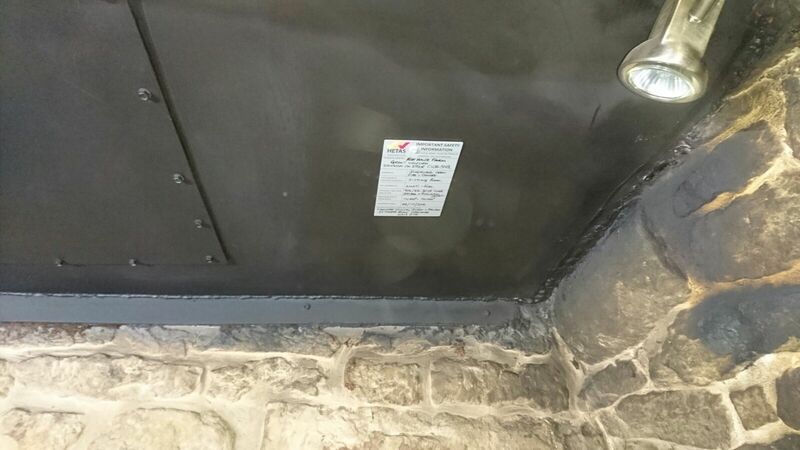 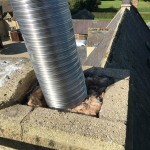 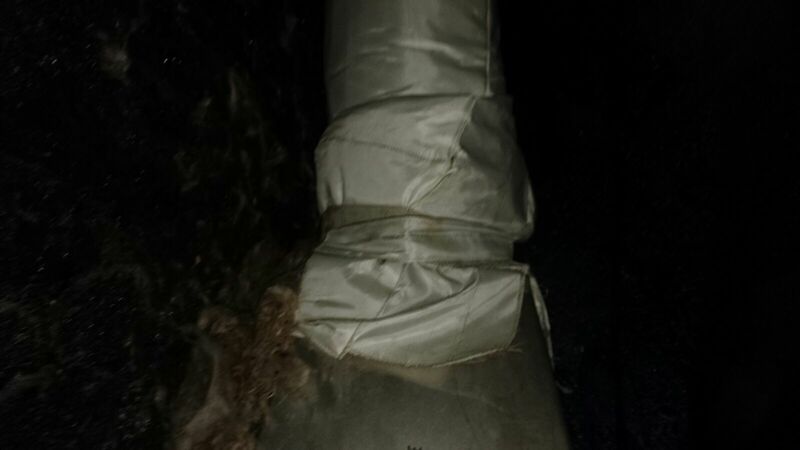 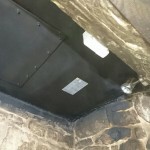 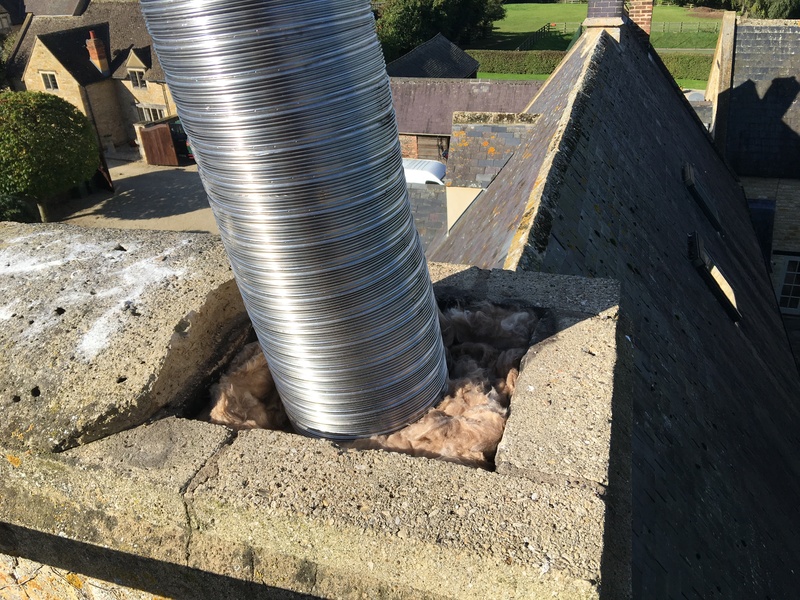 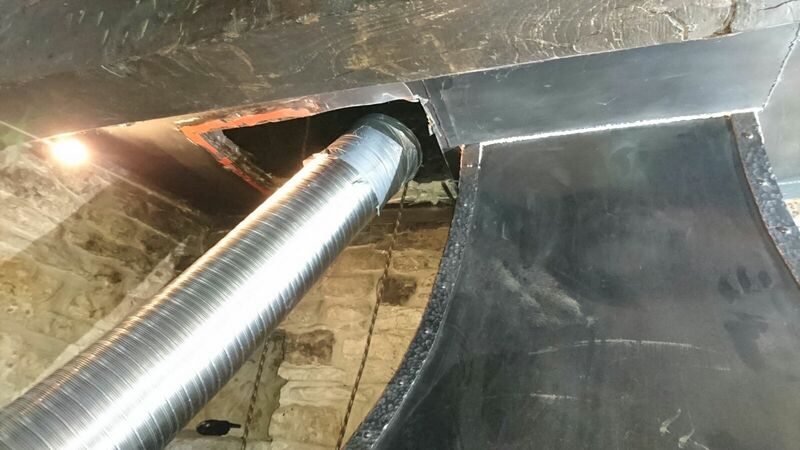 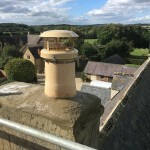 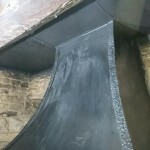 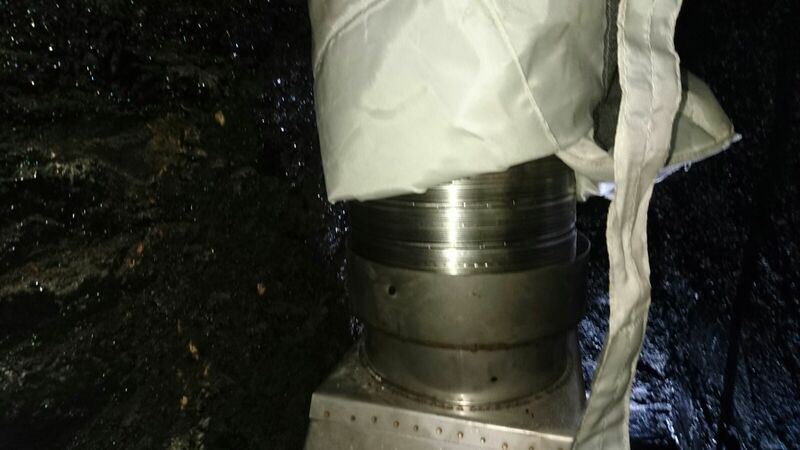 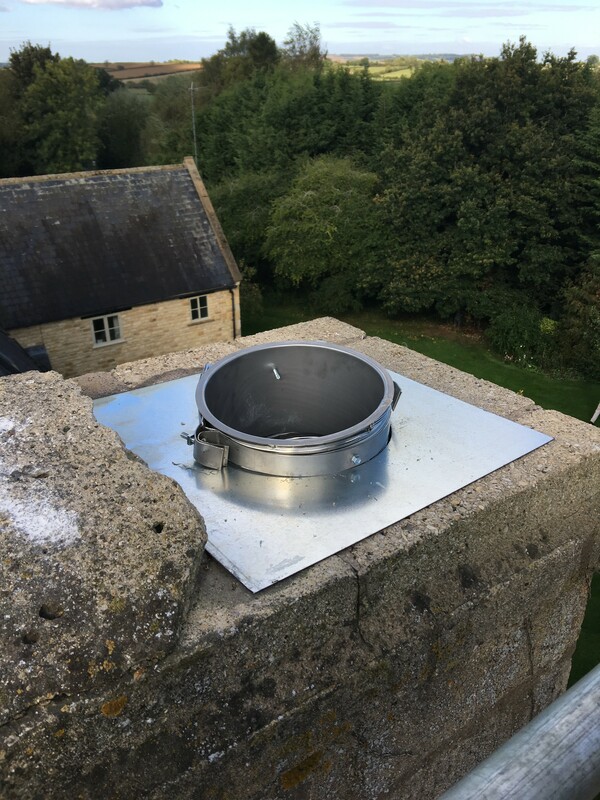 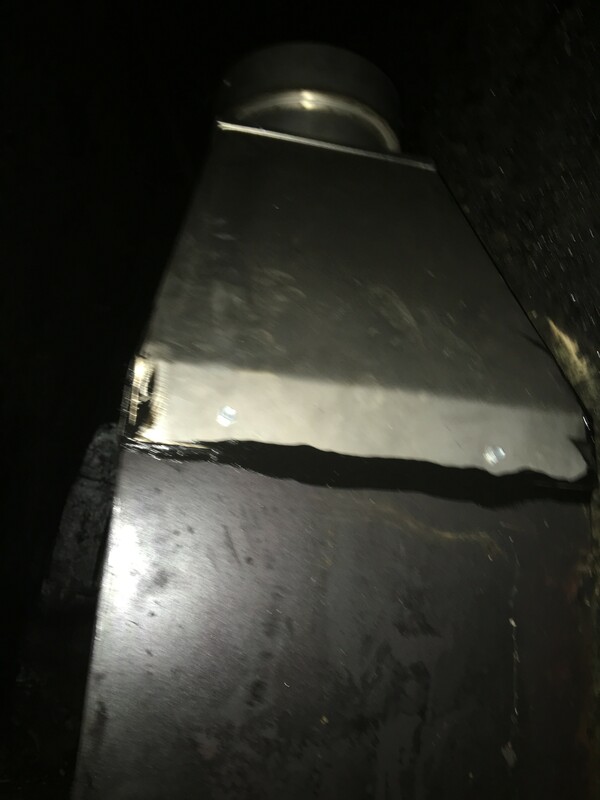 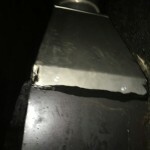 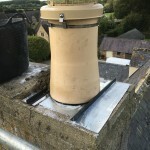 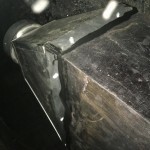 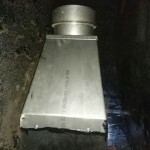 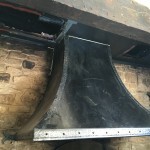 we had to cut access hatches up through the original closureplate to get access into the chimney, we installed 2 x liner wall brackets to help support the weight of the liner with the jacket, this then passes up the chimney chamber to the top of the stack & cut & clamped off & supported at the top, this was then finished off with new buff pot & cowl with new flaunching. 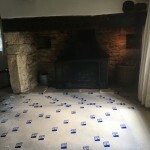 in the inglenook we removed some of the old closureplate & installed new galvanised steel sheets with new angle bar supports with access to do annual checks when swept, the open fire looks all original from inside the sitting room but now not smelling, less fire risk & more efficient with only a smaller chamber. 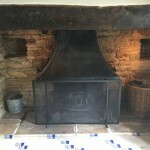 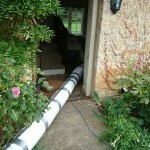 Again a very happy customer who was a pleasure to help.